Embroidery is a sophisticated way to showcase your brand using various thread colors and patterns. 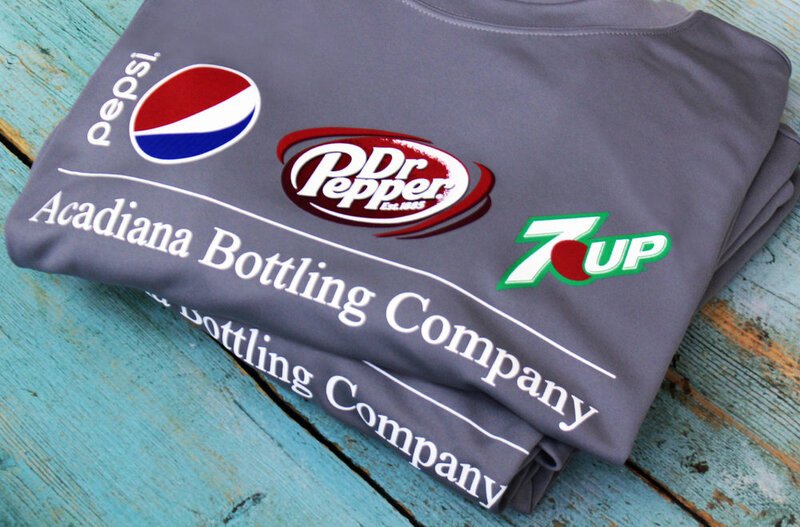 Customize workwear, polos, hats, bags and much more. 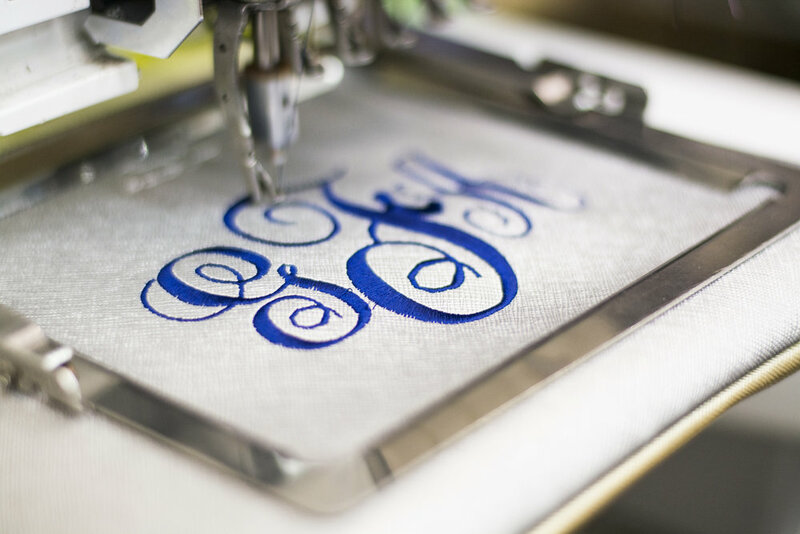 With over 25 years of combined experience , the Absolutely team should be your number one choice when it comes to corporate and personal embroidery. From company logos to backpacks for the kids, we can do it all. Stop in today to speak to our knowledgeable staff about making your vision come to life. Heat transfer is a method of printing that uses heat activated vinyl material. This process is perfect for small quantities or single prints. 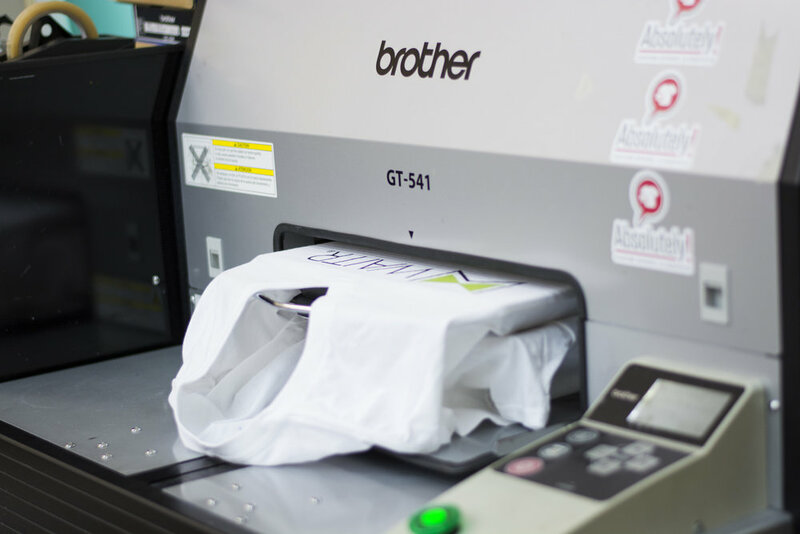 Direct-to-garment, also known as, inkjet garment printing, is a method where graphics are printed directly into fabrics and textiles. This method allows for more vintage or softer looks and is also very long-lasting. 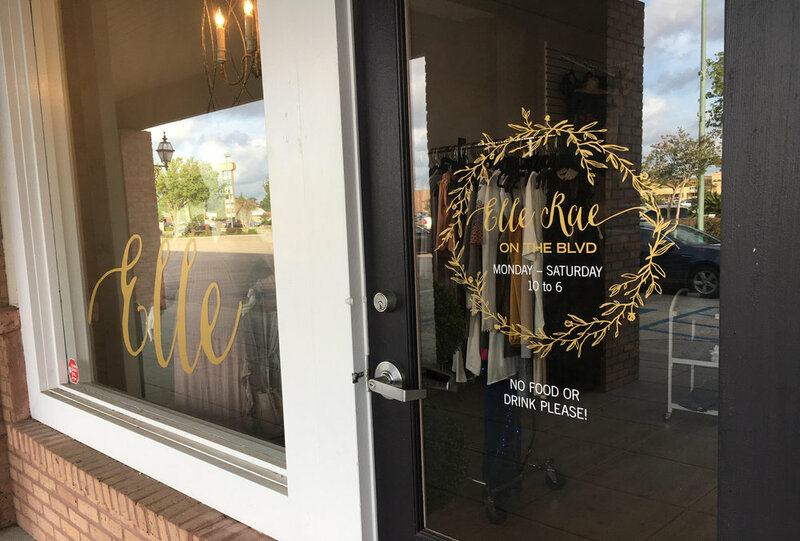 From your store front windows to your favorite tumbler, add a little flare with custom vinyl. We can create decals for your car, drink-ware, windows and much more. With multiple colors, styles and fonts available, we can create a design that best suits your needs. Banners are available in a variety of sizes and are a great way to bring attention to your business or event. Shop our showroom or bring in your own item to be embellished with names, initials, or unique designs. Personalized embroidery on a variety of gift items, including clothing, bags & backpacks, head-wear, baby items and more! Custom vinyl designs and stickers for almost any item, such as drinkware, tableware, containers, ice chests, stadium chairs, and decorative pieces.